I'm a fantasy author who loves exploring fantasy worlds and writing about my experiences there. 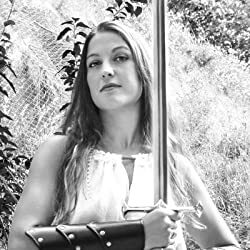 I specialise in high / epic fantasy stories with a spiritual edge, fantastical beasts, tonnes of magic, and warrior heroines. I have wielded Excalibur and like talking to trees. I’m originally from England, but have lived in America, Australia, Canada, Europe, New Zealand and the Caribbean. I currently live in the Pyrenees where I enjoy saving animals, skiing, swimming, cycling, running and meditating. Please enter your email address and click the Follow button to follow A. Evermore!